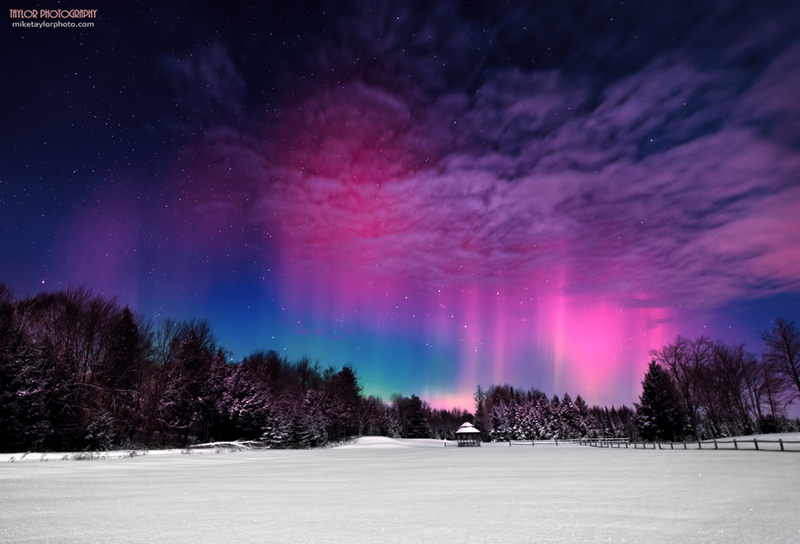 The moon was up when Mike Taylor captured this photo of the aurora borealis, or northern lights. The foreground lighting is moonlight. The spikes of the northern lights were quite strong when I first headed out see what I could capture close to my home in central Maine on the morning of February 19. The cloud cover quickly moved out but then came back after about a half hour. I almost missed the show! This was one of my test shots to check my camera settings and composition. The moon was very bright and washed out a lot of the sky and the aurora but made for some nice foreground lighting.